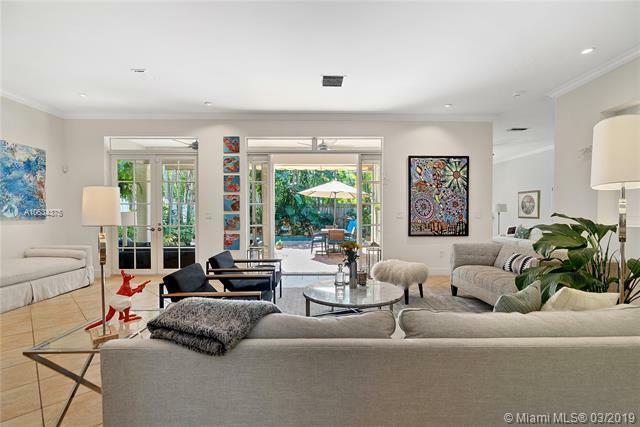 European-style Villa set on a quiet, leafy street in South Grove. Foyer entry reveals grand staircase, Italian porcelain floors & volume ceilings. Impact French doors w/ clerestory windows set the pace for elegant living. 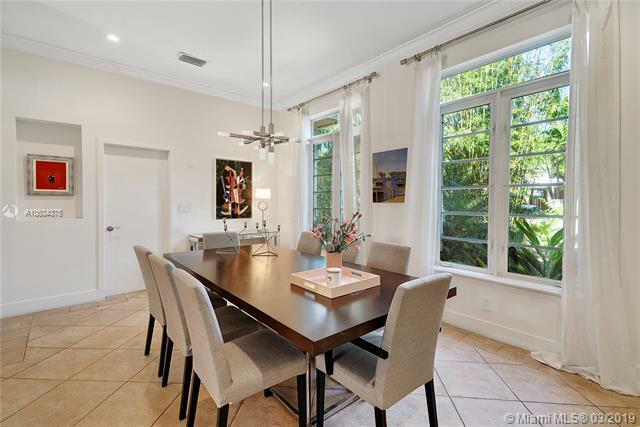 Spacious open design w/ formal living room & family room opening up to large covered terrace w/ sparkling pool & lush tropical landscaping- fantastic for entertaining. Splendid formal dining room. Renovated galley kitchen w/ adjacent utility room. Brick courtyard entry w/ fountain. 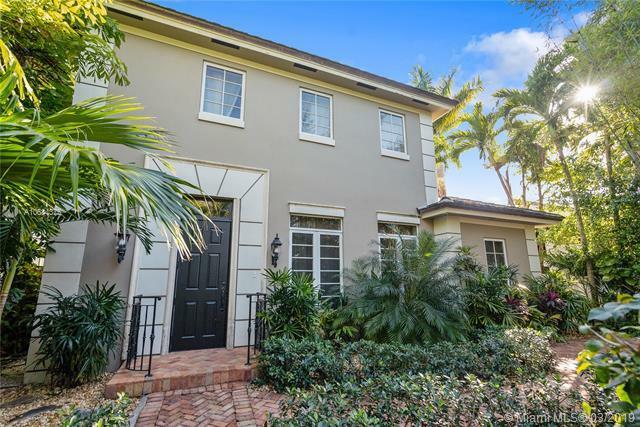 Large bedrooms upstairs w/ wood floors, walk-in closets & renovated bathrooms. Room for a 3rd bedroom. 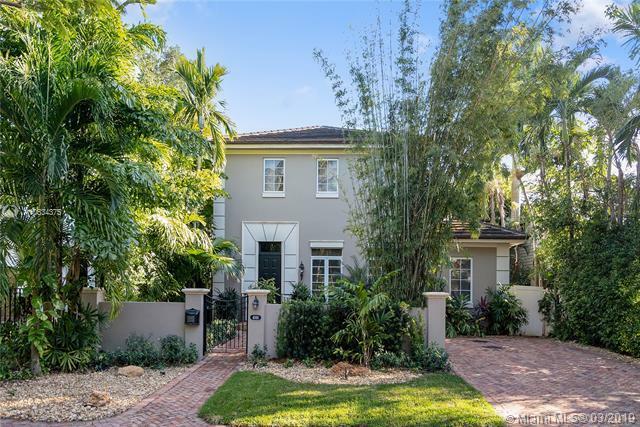 Located in coveted South Grove, bike or stroll to the Groves best schools, cafes, bayfront parks & marinas.